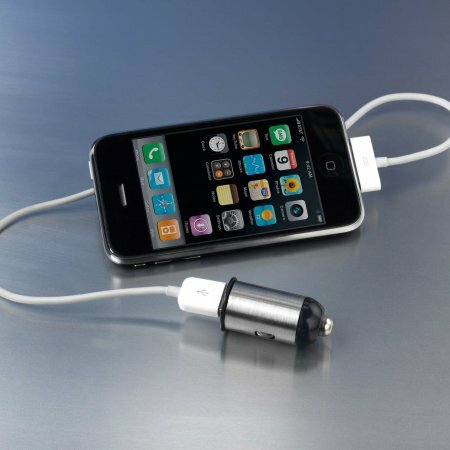 Your car journeys will never be the same again! Are you ready for the motormonkey? The smallest, lightest in-car charger in the world, motormonkey can charge most popular mobile phones, iPods, PSPs and BlackBerrys whilst you're on the move! 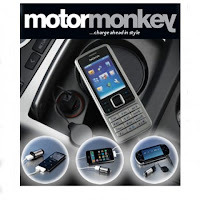 Slimline design means that the motormonkey in-car charger is unobtrusive and you can leave it plugged into your cigarette lighter when you're not using it, without worrying about draining your car's battery! The motormonkey is designed to be permanently located in the car's socket, sitting passively until you need it. Only when your mobile or other electronic device is connected does the internal intelligent circuit activate the supply of power to the unit. When your device is fully charged, motormonkey will automatically shut down - ready for when you need it next! The motormonkey has the added bonus of coming with a retractable USB cable, meaning you can also recharge your gadgets from your laptop. 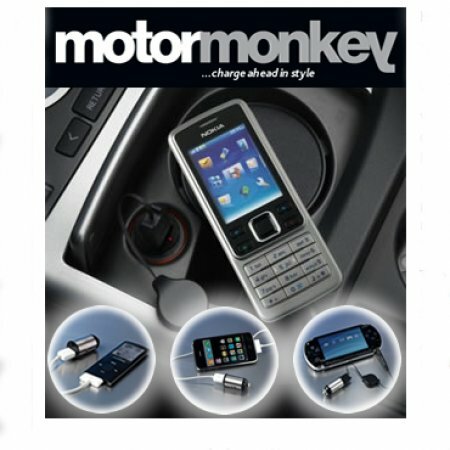 A complete charging solution for the busy traveller!The motormonkey in-car charger will fully support Apple iPod nano, iPod Classic, iPhone, iPod Touch and other iPod series via motormonkey USB socket using your white sync / charge cable supplied with your Apple product.